Tsukiji Market is the one of the most well know fish markets in the world. You can see actual trading which attracts many tourists from abroad. The market is divided into two different areas: the inside market (for whole sellers) and the outside market (open to public) You must be careful while you visit the inside market because you may be on the way of market traders. 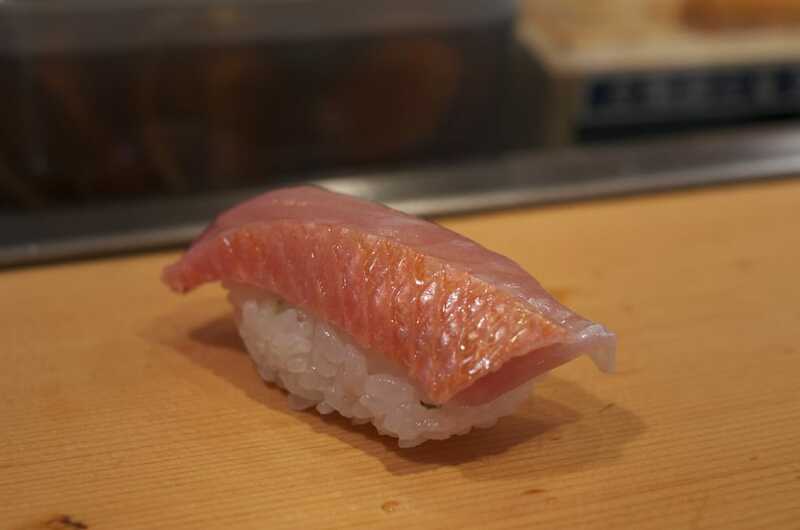 Let me introduce you super popular sushi places in the market! The inside market is mostly for whole sellers; however, some shops are open for public trade. You would see famous shops next to each other. 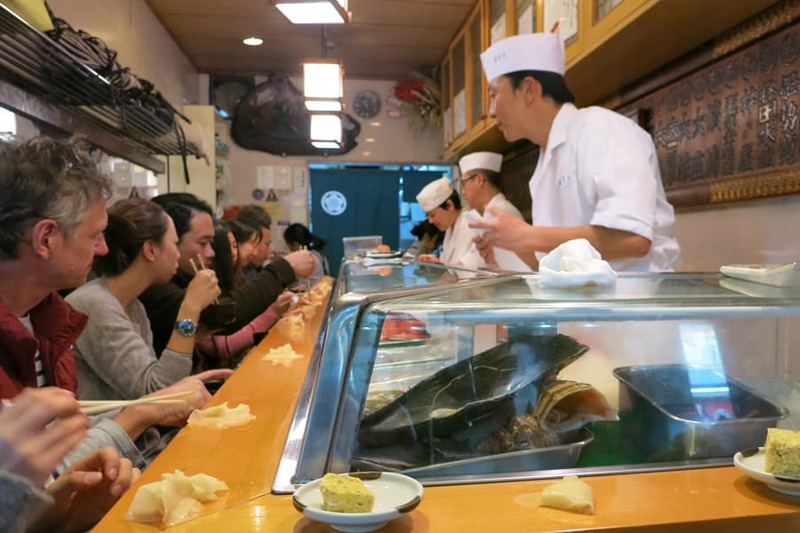 Sushi Dai is one of the most famous sushi places in the inside market. You would see a long queue outside of the shop everyday. It’s normal to wait for at least 2 hours but sometimes; you have to queue more than 5 hours! One of the food review sites awarded them the first place. So it’s well known, high class and award winning food place in Japan. The shop is not as huge as some others and you would see Noren (Japanese traditional entrance fabric) like some others; however, you would notice the line outside of the shop. Inside the shop, there are only counter seats, so the space is limited. Front of seats, you would see many fresh seafood display in the glass case. The head sushi chef would prepare your sushi in front of you; other stuffs would communicate with you with great manners. Don’t worry if you do not speak Japanese or the culture, they are used to tourists from aboard. Their warm welcome would make you feel relax and enjoy your food. 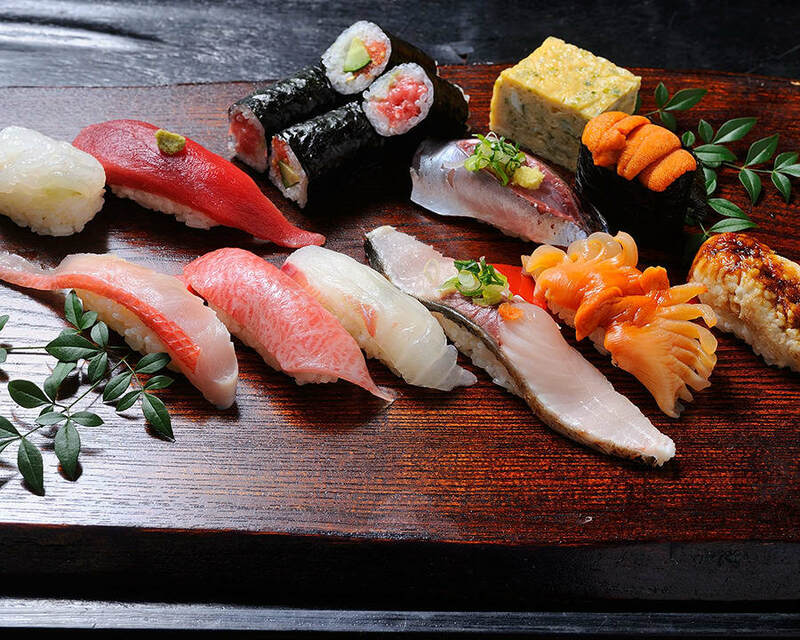 Most of their customers order, “SyunSakana Omakase set”. 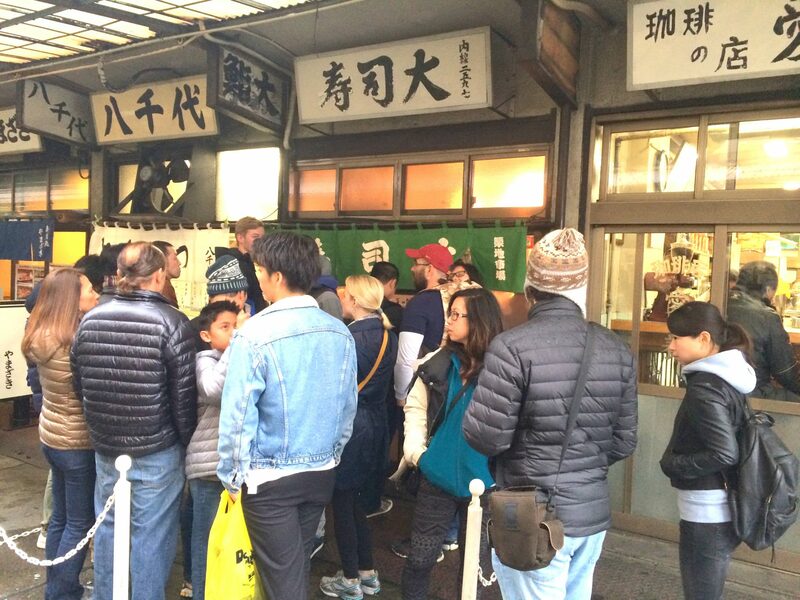 It’s worth queuing for hours because you can eat outstanding seafood. The meal would start with the most expensive fatty tuna fish, then about 10 sushi pieces with seasonal products. Then you can repeat your favorite one once. This would be one of the most luxurious sushi sets. Seasonal seafood would make the best sushi. Sushi Dai really care about this. They would use red breams in spring, sea unchains in summer, salmon roe in autumn and yellowtails in winter. Red breams are also very popular year around due to their mild taste.